Our next concert is in less than a few weeks on October 19th! If you are in the area, please join us for Copland’s Fanfare for the Common Man, Kabalevsky’s Cello Concerto No. 1 (played by this year’s winner of the Marjorie Stricklin Emerging Artists Competition, Neil Nathan), Ibert’s Suite Symphonique, and Sibelius Symphony No. 1 E minor, Op. 39. 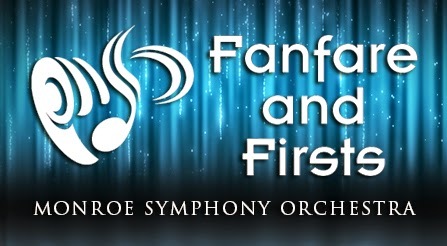 If you are interested in competing in the 2014 Marjorie Stricklin Emerging Artists Competition, the application was recently posted on the Monroe Symphony Facebook page. Happy practicing!